If you raised $250 or more this past Dressember, you qualified to receive gifts from Trades of Hope. 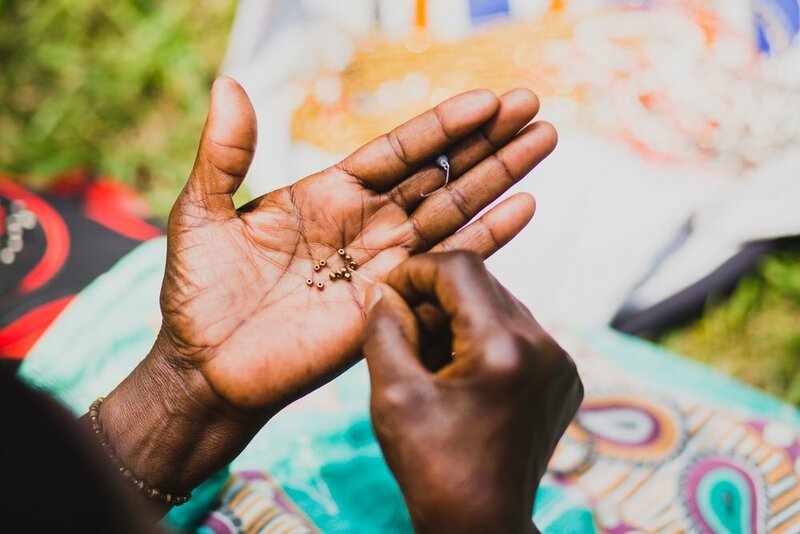 As you begin receiving your beautiful jewelry from them, here's a highlight on some of the amazing artisanal groups that handcrafted your advocate prizes. With each passing day, more organizations are stepping into the forefront and speaking out against the toxicity that exists in the fashion industry. One of the ways that companies are rejecting fast fashion is by intentionally working to empower artisans (skilled trade workers who usually make products by hand). Trades of Hope is one organization that does a phenomenal job empowering artisans. I had the privilege of interviewing Elisabeth Huijskens, Founder and VP of Marketing at Trades of Hope and heard first hand about their mission to liberate women artisans. Elisabeth’s passion to equip artisans began at a young age in Haiti, where her parents founded a school, an orphanage, and a medical clinic. After hearing through a friend that a group of local artisans were trying to get their products to the United States, Elisabeth knew that this was something in her power to do. This launched the creation of Trades of Hope. Since their foundation in 2010, Trades of Hope has worked with artisans all over the globe, empowering 13,000 women in 17 countries. The phrase “ethically made” has become a buzzword in recent years. I asked Elisabeth how she would best define “ethically made” from Trades of Hope’s perspective. ”It means that women are being empowered out of poverty with safe working environments, livable wages, and opportunities to become influencers in their communities”, Elisabeth shared, “We love our products, but our only interest is seeing women provide for their families, reach their dreams and end the cycle of poverty”. There is an extensive application process for potential artisans, and additional means in place to ensure the artisan’s best interests are prioritized by the organization. “We pay our artisans as a partnering business, not a charity,” Elisabeth shared, “We are proud that our artisan partners have already been paid 100% of their asking price before a customer ever buys from us.” If a product doesn’t sell or needs to be discounted, it’s a cost that Trades of Hope takes on personally, absolving their artisans from any financial loss. Amazingly, all their artisans receive a living wage and make 3–6 times the average income relative to their local regions. They are able to surpass survival mode and thrive in their dreams and aspirations. Powerful, hard-working women all over the globe have partnered with Trades of Hope — women who are excited to be business partners and to see their work featured in catalogs. They are able to reach their full potential as providers and entrepreneurs that they wouldn’t be able to reach otherwise due to poverty. Their dignity and hope are restored by the opportunities provided to them and at the same time, their unique, ethically made creations can be purchased and enjoyed by others on the other side of the globe. Thank you to Elisabeth for taking time to share with us! To learn more about Trades of Hope and opportunities to be a Compassionate Entrepreneur, visit their website below. Stephanie Elwell is passionate about minimalism, experiencing different cultures, cooking, writing and finding new ways to advocate in the fight against human trafficking. She’s currently employed as an advocate for children and teens in Immokalee, Florida. She is so excited to be a part of the Dressember community in a new way.